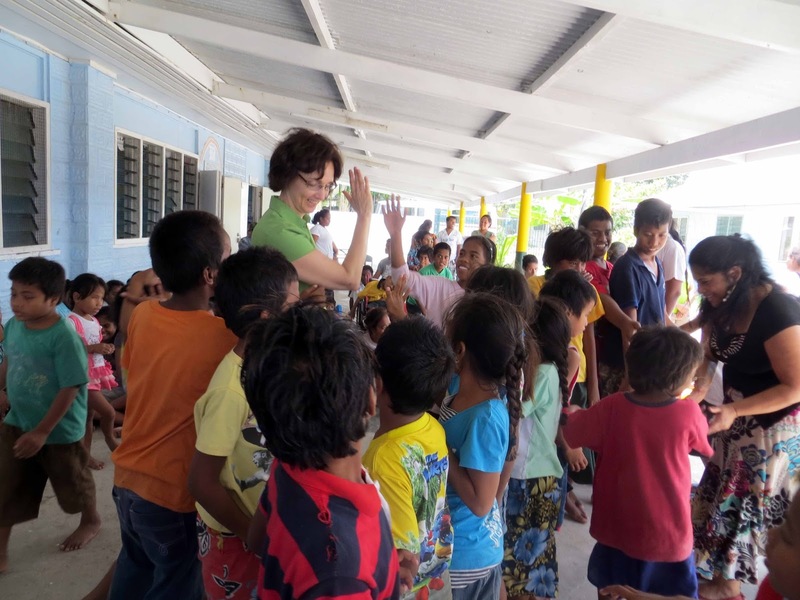 School for Disabled Children in Tarawa performed songs and dances with great glee. 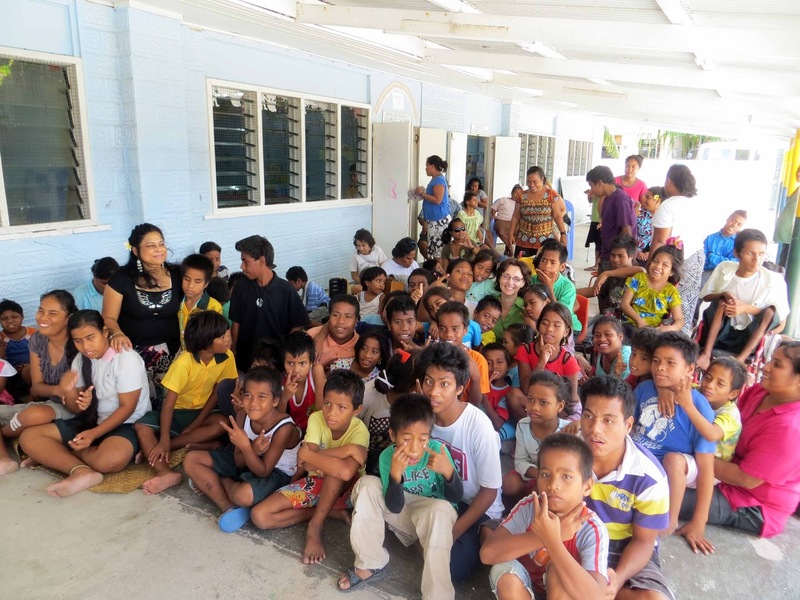 Facilities are simple but school spirit is high at the School for Disabled Children in Tarawa. Each of the classrooms has caring teachers, and each class is carefully organised according to needs and learning levels of children. There is so much demand, that one class of older children, is in a rough storage shelter, but this does not dim the enthusiasm of the visually impaired and mute learners, who, I discovered, are very good artists. In other classrooms children were learning to read and type in Braille, singing songs, working out math problems, and learning how to get maximum use of legs and arms affected by cerebral palsy. Every child gets a nourishing meal, every school day, and there are health screening visits, too. Sadly, sometimes they reveal abuse. Visually impaired girl performs a dance. The school has been granted some land next door and they have a dream to both expand and provide better space than a shed for the older learners. Although committed to their lessons, each class, just like children everywhere, was pleased to come to "assembly" on the front veranda where some of them performed songs and dances with great glee. The youngest class protested at being asked to sit down after only one song, and got to do another number. I tried to do a faster and faster version of Heads, Shoulders, Knees and Toes, only to get all mixed up -- this provoked great laughter. Within seconds of sitting down with the children, they competed to get next to me and climb on my lap - there is no surer sign than this that they trust the adult caregivers and teachers at their School. I learned how to sign "unite for children", and everyone who could see did that with me. The visually impaired shouted it out! 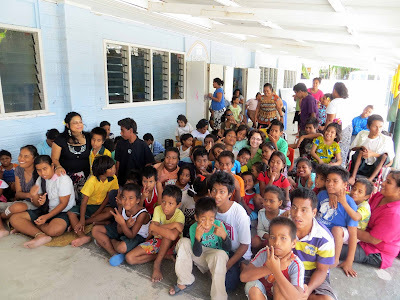 UNICEF has provided advocacy support to the school of children living with disabilities. One of the approaches was organizing the visit of Mrs Ban Ki Moon to this school. 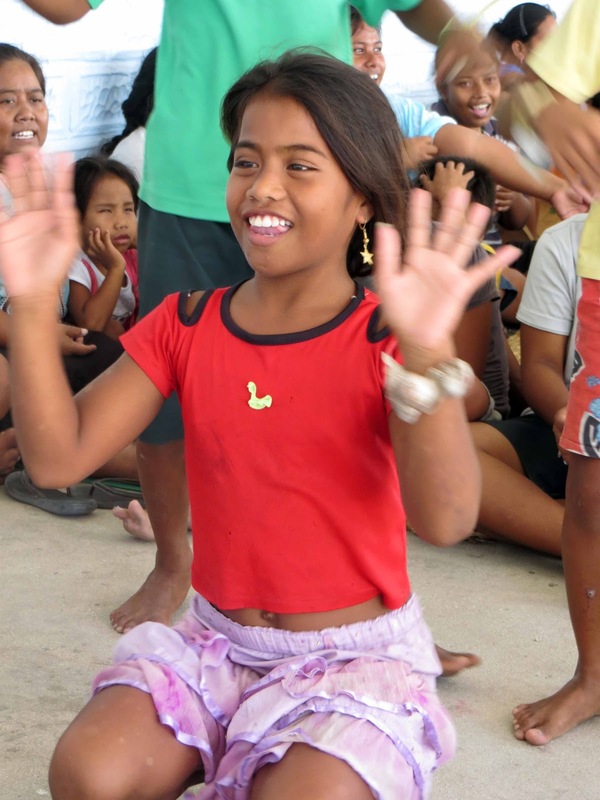 In every forum –whether with development partners and the Government of Kiribati we have tried to advocate for these children's needs. Recently we provided Meena (a fictional character who educates the children of South Asia on issues of gender, health, and social inequality through her stories in comic books, animated films, and radio series) animated films and reading materials. Group photo with the children. Karen Allen high fiving the children.